People often ask why I love genealogy so much. I think it is because of the stories. So many of my ancestors struggled and worked to give their children better lives. The stories themselves are compelling, but also I realize that without their work and sacrifice, I would not be who I am or where I am today. Their story is also mine. In 1852 Philadelphia, Mary Hobson Warren’s life was good. Her family had been in Philly for generations, well established and fairly comfortable. Her father Benjamin was a tailor, and her mother worked as a layer out of the dead, so Mary and her five siblings were secure growing up. On 18 September 1839, at age 18, Mary married James William Warren (age 28), an immigrant from Nova Scotia, Canada. Now, 13 years later, they were well set. 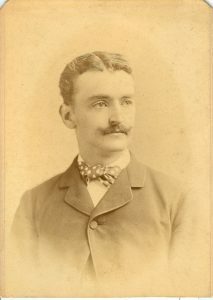 James had begun his career in men’s apparel, but now was a conductor on the railway. They had 5 children: Clara (age 11), Thomas (8), Benjamin (7), James Jr. (4), and Henry (2). And another growing in her belly. Life was going to plan. Then, on 5 October 1852, came the knock on the door. Men from the railroad told her that James would not be coming home ever again. He’d been killed by a train. They spared her the details, but they were in the paper the next day. He’d fallen from the roof of a rail car, and been crushed by the wheels. He had died instantly. A small mercy. But here she was at age 32, with 5 children, and her two months pregnant. As an immigrant, James had no family to step in and help. Her family could only do so much. 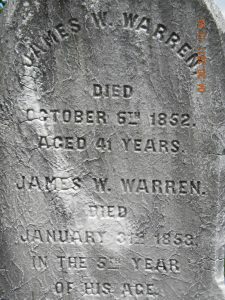 They buried James in a grave in Monument Cemetery owned by Mary’s sister-in-law, Margaret Seward Hobson. Mary took up washing and sewing, some of the only jobs open to honest women. She worked her hands raw…but her troubles were not over. 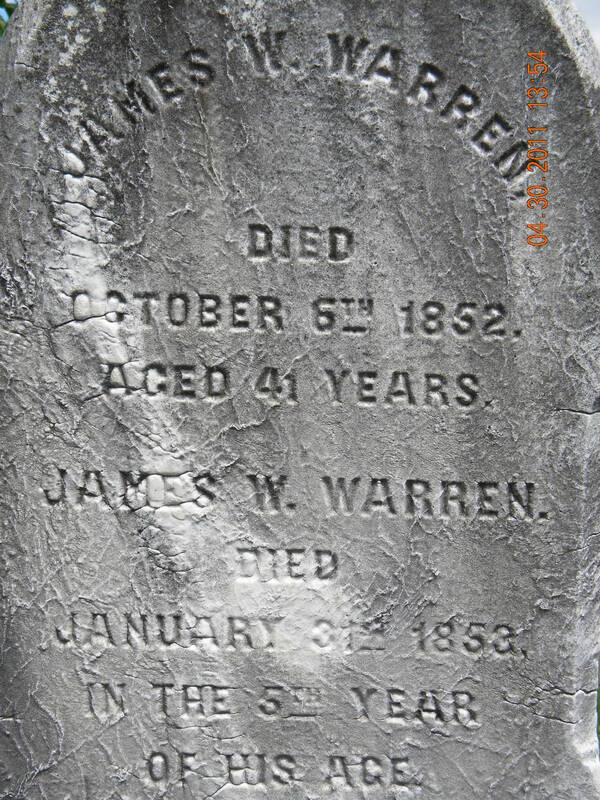 James, Jr. died of typhoid fever just shy of 4 months after his namesake father. For the second time, Mary stood at the Monument Cemetery gravesite, mourning the loss of her 4-year-old son. But Mary didn’t give up. She kept washing and sewing, putting food on her table and a roof over her family’s head. 22 May 1853 saw the birth of her son, whom she named James William Warren after his father and brother. The family got along as best they could. 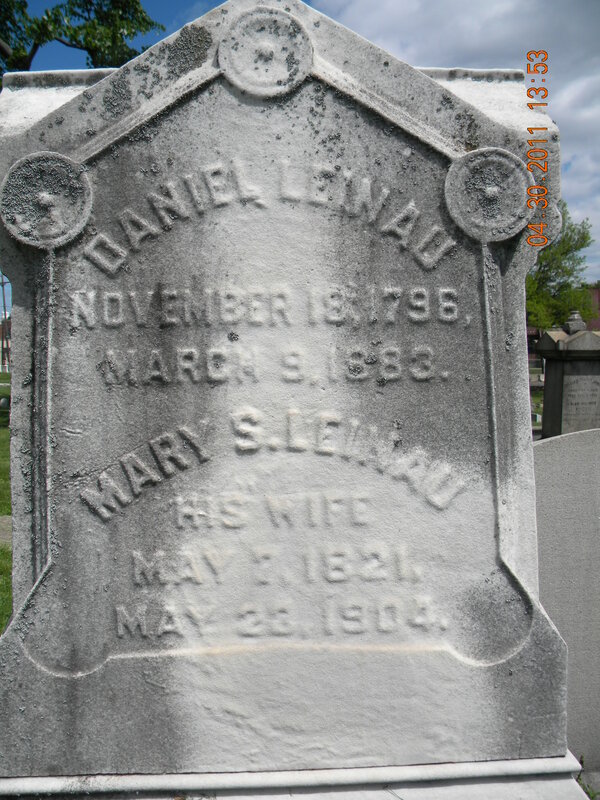 Then on 31 March 1857, she married Daniel Leinau. He was a businessman from Tennessee, a veteran of the war of 1812, and 25 years older than Mary. Clara was aged 16, Thomas 13, Benjamin 12, Henry 7, and James 4. Daniel and Mary had no children together, but Daniel was the only father young Henry and James ever knew. Mary’s life got easier with Daniel to provide for her and her family. Slowly their house emptied. Clara married Frederick Valletto McNair in 1862. Clara and Frederick’s eldest son Warren Leinau McNair died in 1865 at age 1 year and 9 months. They buried him in Monument Cemetery with his grandfather and uncle. Thomas married Emma Spooner in 1872. 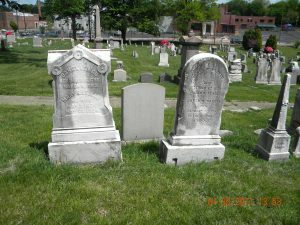 Their first children were stillborn twins, in 1873, and they were buried in the Spooner family plot in Laurel Hill Cemetery. 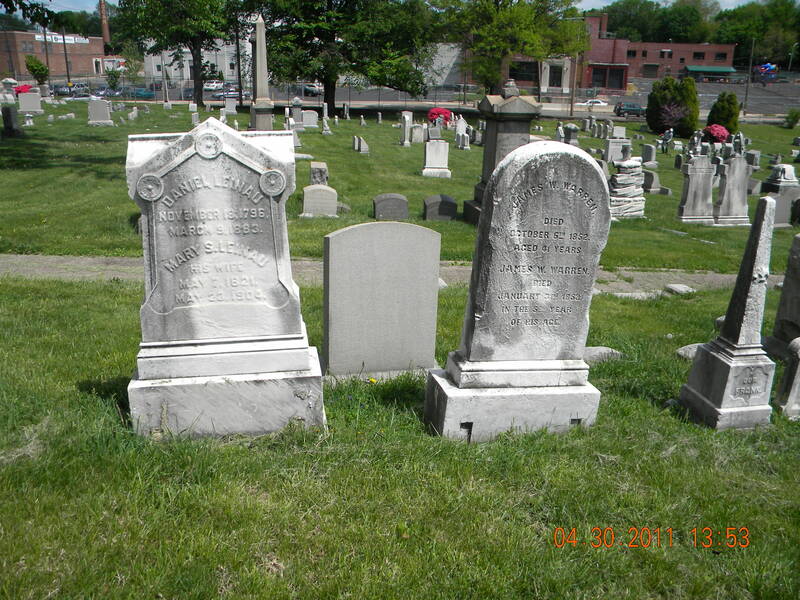 Thomas died young, at age 35, in 1879 and joined his children in the Spooner plot. 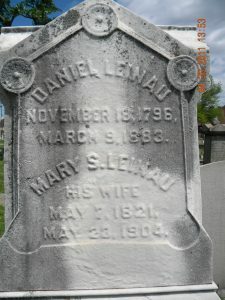 Daniel Leinau died 9 March 1883, widowing Mary again. 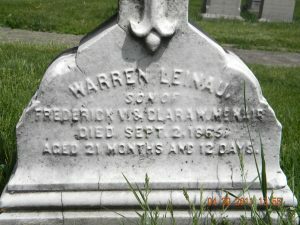 He was buried in Laurel Hill Cemetery, and Mary moved James, James Jr., and baby Warren McNair from Monument Cemetery to the new family plot in Laurel Hill. Mary’s children were now old enough to support her, as she had done for them. 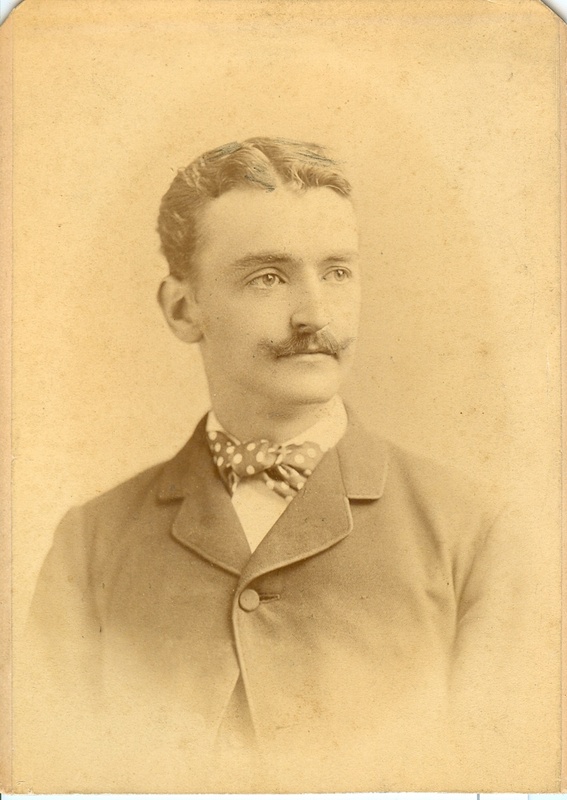 James married Clara Godshall in 1884, Benjamin married Emma Kinsey in 1887, and Henry married Mary Drew in 1888. Mary lived out her life with her youngest son, James William and his family. Upon her death at age 83 on 23 May 1904, she joined both her husbands, her son, and her grandson in Laurel Hill. Three of her other sons are also resting in nearby plots.